Do you want to know the research behind the effects of oncology massage therapy? Do you ever come up against hard questions in your work with people who are seriously ill? Would you like to earn research and ethics CE hours that relate directly to your practice? 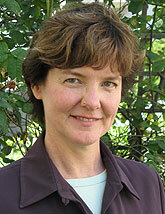 Join Tracy Walton for a day of research, ethics, and lively conversation. Cancer and Massage Therapy: What Does the Research Say? We are offering a rare chance to learn about key topics in oncology massage, massage at end of life, and massage for any serious illness. Complete two requirements—research and ethics—in a single day, in live conversation and community, with a skilled instructor. Finding stronger research, and stronger skills to use it. 3.0 CE hours, NCBTMB approved. Click here for a full list of approvals for this course. Together, we’ll look at how all kinds of data can strengthen our case for massaging this special population, and how it all fits into responsible oncology massage marketing. To register and see more payment information, check our Training Schedule. For CE course approvals, check here. Dealing with the good, messy questions. 4.0 CE Hours, NCBTMB approved; fulfills NCBTMB ethics requirement. Click here for a full list of approvals for this course. On top of the usual ethical challenges, unique challenges can arise. Most often, massage therapists manage these situations alone. Most of us could use support and conversation when we’re in this territory. Any one of these could start a rich discussion, but only if you have someone you can discuss it with. You might find yourself sitting with some unknowns. But you won’t be sitting there alone. Join us and dig in! These courses are focused on the practice of massage therapy and are primarily for professional massage therapists and advanced massage therapy students. We do not require a background in oncology massage therapy or hospice care, but we refer to information and concepts used by practitioners and courses in these areas. All health care professionals are welcome at these courses. Anyone with a professional interest or background in cancer care, hospice care, research, administration, or ethics is welcome to attend. Continuing Education (CE) hours are offered only to massage therapists. Click here for a list of approvals for each course. Both courses are open to all massage therapists and advanced massage therapy students. To register and see more payment information, check our Training Schedule. Are we going to talk for 7 hours straight? As required CE subjects, ethics and research have a reputation for being a bit boring and…flat. Seven hours of flat would be deadly. And yet, each time we have taught or taken these subjects in person, it is a fun, inspiring exchange of ideas. When you believe that our clients are our greatest teachers, and you have a high-energy instructor who weaves your client experiences into the greater good of the subject at hand, you might just have…fun. Far from a dreary course, online or in person, you can learn in community. Yes, there will be talking. Surround yourself with people. Bat some questions, ideas, and probably some strongly held opinions back and forth. Join an inclusive discussion led by a skilled facilitator. Learn from your peers, your instructor, and—most likely—yourself. For our current schedule and to register and see more payment information, check our Training Schedule. The Boston (Medford) course will be held in a beautiful classroom at the Elizabeth Grady School of Esthetics and Massage Therapy, 222 Boston Avenue, Medford, MA. Plenty of free parking, a short walk from Whole Foods and Starbucks. All Boston registration and correspondence is done through our office at Tracy Walton & Associates, LLC, NOT Elizabeth Grady School. Can I sign up for just one of the two courses? Yes! These are two courses, with two separate certificates of completion. You can register for just one session. But we strongly recommend both, because they dovetail with each other, because you’re already schlepping to class anyway, because it’s worth it, and because we don’t know when we will offer these again. $197 for the day (2 courses, total 7.0 CE hours) thereafter. No massage tables are needed. There is no hands-on work. See our Training Schedule to register. Morning – Research in Massage and Cancer Care (3.0 CE hrs). 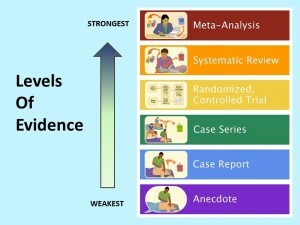 We will start with a quick introduction and an overview of the different kinds of research evidence. Using clear visuals, we’ll weigh the evidence, looking at which kind is the strongest and which is the weakest. Then we will survey the oncology massage therapy research for examples of each. 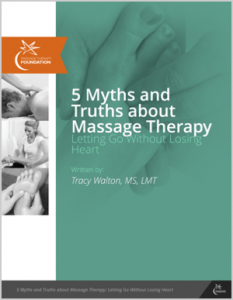 Finally, we’ll look at the common myths in massage therapy, and identify some stronger statements about massage that can be used in marketing a practice. Lunch on your own. (0.0 CE hrs) There are several eateries within walking distance. Afternoon – Ethics in Oncology Massage and Hospice Care (4.0 CE hrs). We start with an introduction and ground our discussion in a quick overview of the various codes of ethics. Then we introduce challenging case scenarios. We ask you to reflect on how you would handle each one, and then open it up for discussion. Throughout, we invite you to contribute your own client situations to the mix. We pay particular attention to hard conversations with clients. If there is time, we play out what we might say during those conversations. You’ll leave the day with support, insights, and stronger skills in marketing and managing your practice with these special populations. Do you have more questions about this course? Contact us at Tracy Walton and Associates through this website with questions about logistics at the Boston, MA location. Please do not contact the Elizabeth Grady School. Questions about content? Use the form below. For a full list of approvals for these courses, click here for Research, and here for Ethics.